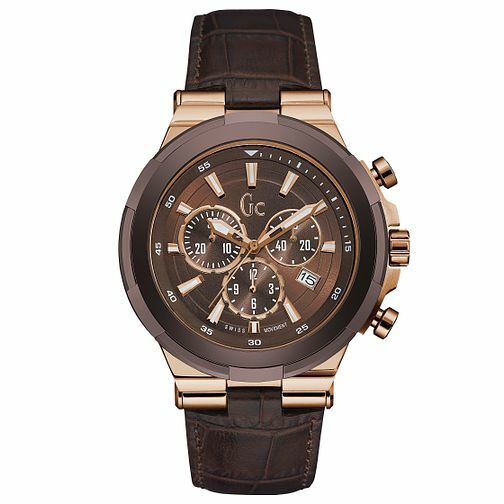 From the Structura collection by GC, this stylishly designed timepiece for him is made to stand out. Features a mock croc brown leather strap, rose gold plated case, brown detailed dial with rose gold tone indices and date aperture. With Swiss Movement.